iPic Entertainment, the nation’s fastest-growing affordable luxury movie theater and restaurant destination is proud to announce its continued partnership with Super League Gaming for a one week period this July. The collaboration will bring gamers and movie fanatics the newest superhero-themed Minecraft Tournament: Summer Splash with CaptainSparklez at iPic Theaters locations nationwide. During the week of July 18-22, iPic Theaters offers gamers of all ages the exciting opportunity to play Minecraft, the world’s most popular video game on the big screen while reclining in the comfort of iPic’s famously plush seating. Super League: Summer Splash with CaptainSparklez enables participants to play face-to-face, utilizing their own laptops to join a newly-created digital playing field in full-scale on the iPic screen in an immersive third-person point of view. Each gamer will receive a free limited edition Super League: Summer Splash with CaptainSparklez t-shirt as a thanks for participating. While the kids enjoy their screen time, parents and caregivers are invited to stay and cheer on their gamers free of charge or enjoy a meal and drinks at the respective dining establishment for their iPic location. Action Squad members will be available for any viagrageneriquefr24.com gaming or technical assistance while playing to provide a fuss-free experience. 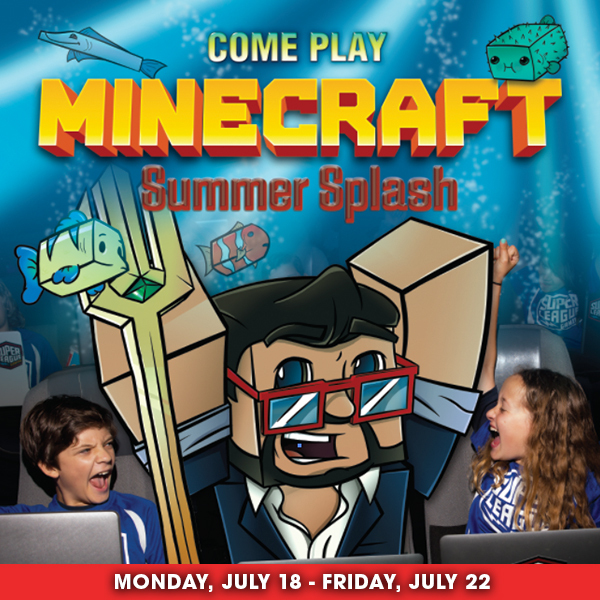 The Super League: Summer Splash with CaptainSparklez will take place Mon.-Fri. during the week of July 18 from 9 a.m.-12 p.m. each day. Select iPic Theaters locations nationwide. Locations include: iPic Mizner Park, iPic Bolingbrook, iPic Fairview, iPic Houston, iPic Westwood, iPic Pike & Rose (North Bethesda), iPic North Miami Beach, iPic Pasadena, iPic Redmond, and iPic Scottsdale. Super League Gaming (https://superleague.com) is the world’s first and biggest video game league that takes place in movie theaters worldwide. Bringing gamers of all ages together for a social, face-to-face gameplay experience on the big screen, Super League is establishing theater auditoriums as the ultimate place to play some of the world’s most popular games and compete to climb the international Super League leaderboards. The phenomenon started in Santa Monica, Calif. in the summer of 2015 hosting “theater mode” events (with the top 3 exhibitors in the U.S.: Regal, AMC and Cinemark) and the No. 1 game in the world, Minecraft. Super League is rapidly expanding its game library and reach to theater chains globally.